A Season that started with very wet pitches in early may and finished in desert like conditions in August has ended up with the club achieving the goals set out back in the spring sso a huge well done to all our players, supporters, staff, volunteers and members for making it happen. On the pitch the 1st XI settled back into the West of England Premier League finishing as runners up in the division which is an excellent result. A couple of close games which could have gone either way ultimately proving that you need to be ultra consistent in the league with only one promotion spot. Congratulations to North Perrott on their promotion and hopefully we can go one step further in 2019. 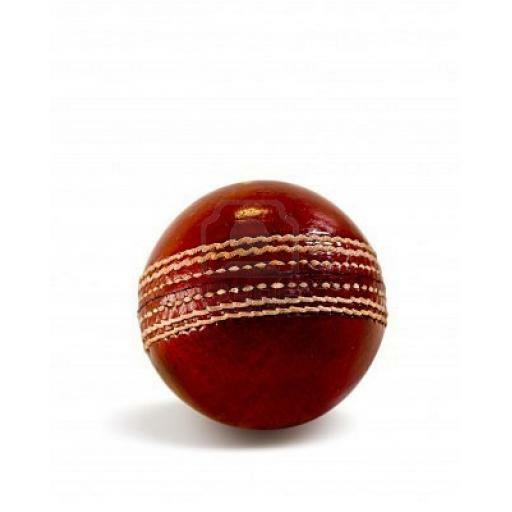 The 2nd XI eventually held their own in the Somerset Cricket League division 2, this is the highest standard that the 2nd XI has ever played so a great effort by all in securing their position in the division for 2019. We had a 3rd XI! yes, by hook and by crook, arm bending and general bribery for the first time in over 30 years we put out a 3rd Saturday league side, not only that they finished 2nd in the Somerset Cricket League division 7 north and secured promotion in their first season, a great achievement with a mix of youth and experience and something the club can be immensly proud of. Our thanks go out to all those who helped out in 2018. Sunday T20 side completed their fixtures in an experimental league which proved succesful, hopefully this will grow in 2019 bringing back cricket to Fromefield on Sundays which is required to help financially fund the club. The Ladies go from strength to strength after competing in the outdoor league throughout the summer finishing second in their group and qualifying for finals day where they finished joint 5th in the County, for a first season that's excellent, culminating with a visit to the county ground for a tournament. The ECB programme for 5-8 year olds succesfully ran its second year with over 30 youngsters enjoying the madness on Sunday mornings. Youth Cricket returned with vengeance under head coach Robin with the Kestrels, Hawks and Eagles as age groups under the Falcons banner. Friday evenings saw upwards of 50 kids enjoying the training sessions and the parents enjoying the hospitality. A big thanks goes to all the coaches who help out with the sessions. The under 19 Falcons once again qualified for finals day where after a rained off day saw them compete against the best of Somerset talent and more than held their own, Lets go for four in a row next year! Off the pitch the club is pleased to announce new partnerships with two prominent Frome Businesses in Payman.co.uk and Garston Veterinary Group. 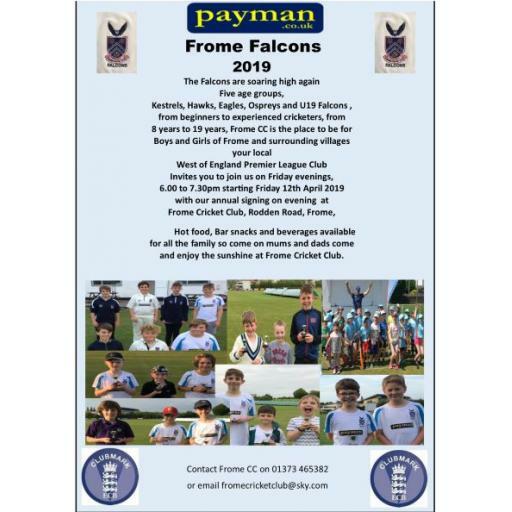 Both companies have been loyal supporters of the club with Payman being a long time supporter of the youth programme, this year brought a new partnership which sees the Payman logo on our Falcons playing and training wear. A big thanks go to Craig Parsons and his staff. Garston Veterinary Group extended their partnership from boundary boards to the mobile pitch covers which look stunning out in the middle. A big thanks go to John Gould and his partners. Autumn renovation work will start shortly on the square and outfield where the long hot summer has taken its toll especially on the outfield, the repairs to this are likely to be quite expensive so all donations will be most welcome as we aim to provide the best facilities we can both on and off the pitch! Finally the Annual dinner and presentation evening will take place on Saturday 13th October at the clubhouse, Tickets are available from the clubhouse and are limited so please get them early! Thanks again to everybody who has been involved this summer, we don't close over the winter so hope to see you socially at the clubhouse over the winter!